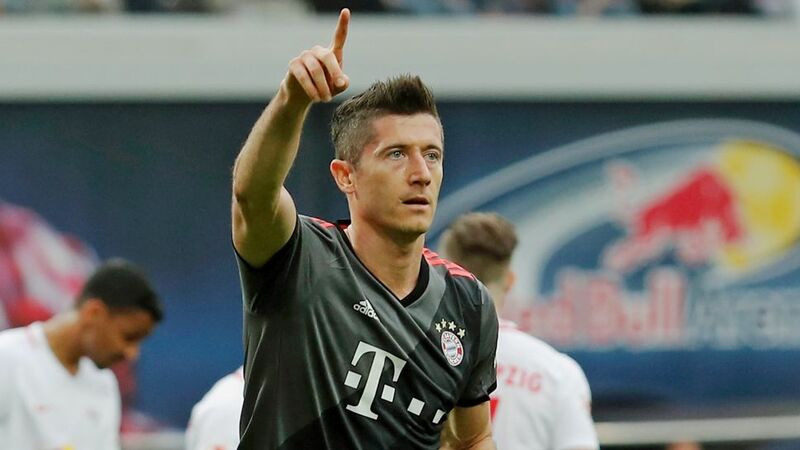 Bayern Munich striker Robert Lewandowski has been named in an all-star FUT Ultimate Team of the Season for the 2016/17 campaign. The 28-year-old, who scored 30 Bundesliga goals to help fire Carlo Ancelotti's side to an unprecedented fifth consecutive league title, was one of five Bundesliga players included in the Ultimate Team of the Season squad. Among the substitutes are Bayern team-mate and goalkeeper Manuel Neuer, as well as Borussia Dortmund forward Pierre-Emerick Aubamayang, who took the Bundesliga Torjägerkanone ahead of Lewandowski with 31 goals. A third Bayern player, Arjen Robben, was named among the reserves after another sterling season for the Dutch winger in which he scored 13 league goals and provided nine assists. RB Leipzig central midfielder Naby Keita rounded out the Bundesliga contingent thanks to a breathtaking debut top-flight season with the promoted outfit that culminated in earning a runners-up medal and automatic qualification for the UEFA Champions League. Check out the 2016/17 Bundesliga Goal of the Season winner here!